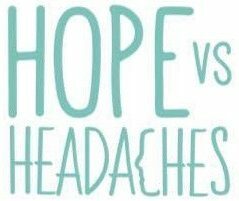 HOLIDAY – 1 HEADACHES – 0! After my incredible recent experience in which I managed to stop a migraine dead in its tracks during one of Dr Joe Dispenza’s meditations, suddenly I had this new found confidence which made me question just what my mind was potentially capable of. It was only a few weeks ago that I discovered the book “You are the Placebo” and since then I truly feel like I am transforming as a person every single day. In fact I know I am, as the results so far have been truly remarkable. Now I don’t know how other migraineurs have faired with flying, but I have previously struggled with this. Perhaps it’s the dehydration or sitting in one position for a prolonged period of time that tenses up my neck and shoulders muscles. So for a while I used to dread getting on an airplane. This is quite ironic considering my husband is a pilot, I used to be cabin crew and we now live in Dubai! Anyhow, things were completely different this time around. Before we commenced our trip I had visualised our journey to Mauritius so many times over and over in my meditations, only imagining a day headache free, and would you believe it… it was exactly that! Even despite only having four hours sleep the night before due to what we will just call a case of “Delhi Belly”! (I have no idea where I got that from!) Anyhow, I have always found that any kind of upset to my sleep pattern that gives me less than my required eight hours a night, has previously meant that I I would have no option but to crawl back in to bed and write the day off as what I would call a “tired head” kind of day. Despite all of this, we arrived in Mauritius after a very long day completely and utterly headache free! Well my husband not so much, however I think that might have had something to do with his red wine consumption perhaps? Now if that isn’t a sign that my meditations are working and I’m changing my brain then I have no idea what is! So we arrived in Paradise! It didn’t take long for us to navigate to the nearest sun bed, open a good book and switch into relax mode. Exactly what we both needed! At the beginning of the week I felt on cloud nine. For so long I have lived with this anxiety and fear of a migraine coming on, which I now know keeps you in that cycle, however by doing my daily meditations leading up to the holiday it had removed any doubts or worries I had. My new found confidence that I had discovered in the previous weeks led me to create new memories, have new experiences and as Dr Joe says “create a new me”! So that’s exactly what happened. These may be small things to other people but to me they were huge. I found myself trying the foods I “believe” cause me migraines, being able to sit directly in the sun for several hours at a time, spending full days outside and sampling an alcoholic drink or two which I had almost become scared of! As I lay on my sun bed looking around at the other couples enjoying their holidays, it suddenly dawned on me that I was what I call “a normal person” again! I was one of them! I continued to do my daily meditations, normally back in our room after breakfast and in the afternoon when the weather tended to cloud over. Some hit the spot and others not so much but I am learning that you’re not always going to have an amazing meditation and that’s ok! A few days into our holiday as I was on such a roll, I even made a visit to the gym! You heard me right, the gym! Knowing I should take it easy as this was my first visit in god knows how long I attempted a little cycle, a brisk walk on the treadmill and then a few yoga moves just to keep my muscles loose. Unfortunately the following day I was paying for my little visit in the form of tight neck and shoulder muscles. Why oh why does the gym seem to hate me so much? Well being realistic I’ve been through this before and I’ve realised that Yoga and Pilates are best and only form of exercise for me at the moment, so I think it’s best to stick to that. After dwelling on this for a while I decided I needed to get myself back on track. My meditations then focused around seeing my neck muscles relaxed, laughing and enjoying my holiday again with my husband and seeing us without a care in the world. The old me would have “believed” that nothing could have cured this other than a trip to the Chiropractor, given up on the week and accepted the pain but no, not the new me! That belief no longer exists in my mind and it’s quite incredible that after a few days I was back to exactly where I was before! Feeling like a “normal person” again and able to enjoy the rest of our holiday to the fullest. Don’t get me wrong, by no means was my health perfect that week, but I am learning all the time on this journey and every day is another step forward. I know those changes may look like small victories to you, but to me this is changing my beliefs, which in turn is changing my life right before my very eyes… Thanks once again Dr Joe! Previous Entry How On Earth Did That Just Happen Dr Dispenza? Next Entry Is A Belief Only True Because You Believe It So?